Founded by Erwin Sick in 1946 after receiving a permit from the military government of America based in Munich allowing him to set up his engineering and research offices. Today Sick employs more than 5000 people globally with a turnover in excess of 902 Million Euros. Sick is the bench mark in the production of sensors and sensor solutions. The diversity of the Sick product range offers intelligent solutions that span across every manufacturing environment helping to optimize throughput, enhance safety and increase dynamically your production. “Markets and technologies, and demands are changing continuously and we are changing along with them. This constitutes the key to Sick sensors success” Markus Paschmann Sick Executive Board Factory Automation. Sick sensor solutions for factory automation are the results of exceptional dedication and results. From research and development all the way to service. The people at Sick are dedicated to investing all their expertise in providing you with the very best sensors and system solutions available. Sick sensor systems simplify and optimise processes and allow for sustainable production. Sick operates from thirteen production and development centres globally located. Sick products are derived from in house innovation and through working with customer specific applications, delivering class leading innovative sensor products that will keep you in front of your completion. With an impressive track record of first to market products Sick take the key parameters of automation and production to higher levels with dependable process control, people safety and environmental protection. With tried and test technology in a wide range of industries Sick sensors have taken productivity and quality to new levels. The pharmaceutical, automotive, electronics and alternative energy industries are just a handful of example that benefit from Sick sensors know how. Be it increasing speed and improving traceability in distribution centres and warehouses, Sick products provide accident protection for guided vehicles. Sick products and systems used in analysis for flow and measurement of liquids and gasses monitor environmental protection and sustainability for example in cement production, waste incineration factories and energy production facilities. Sick products delivery the right technology to react to any task involved in industrial automation, be it detecting, controlling, measuring, identifying, integrating, positioning or networking. Sick sensors developments and industry know how continually deliver earth shattering innovation to answer most tasks. From a simple acquisition task to the key sensor technology in a very complex process every product from Sick offers a sensor solution that best combines cost effectiveness and safety. Photoelectric sensors | Miniature photoelectric sensors, small photoelectric sensors, compact photoelectric sensors, Fibre optic sensors and fibres, cylinder photoelectric sensors and zone control. Proximity sensors | Inductive proximity sensors, capacitive proximity sensors and magnetic proximity sensors. Magnetic cylinder sensors | Analogue position sensors, sensors for T slot pneumatic cylinders, sensors for C slot pneumatic cylinders, sensor adaptors for pneumatic cylinders. Identification Solutions | Bar code scanners, image based code readers, hand held scanners and RFID. Detection | Sick laser measurement technology. System solutions | Volume measurement systems, Code reading systems, Dimension weighing and scanning systems. Fluid sensors | Level sensors, pressure sensors, flow sensors and temperature sensors. Registration sensors | contrast sensors, colour sensors, luminescence sensors, fork sensors and array sensors. Distance sensors | Short range distance sensors for displacement, mid range distance sensors, long range distance sensors, linear measurement sensors, ultrasonic sensors, double sheet detectors, optical data transmission and position finders. Automation light grids | Advanced automation light grids, standard light grids and smart light grids. 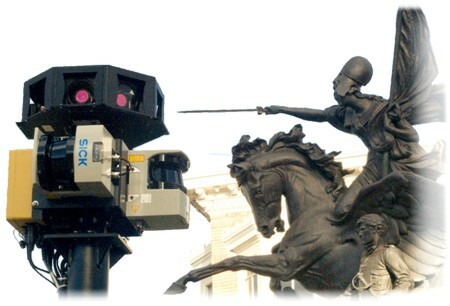 Vision systems | Vision sensors, smart cameras, 3D cameras and vision systems. Safety switches | Electromechanical safety switches, Non contact switches and safety command devices. Encoders | rotary incremental encoders, rotary absolute encoders, wire draw encoders and absolute linear encoders. Analyzers and systems | Gas analyzers, dust measuring devices, analyzer systems, liquid analyzers and tunnel sensors. Gas flow measurement devices | Gas flow meters, mass flow meters and volume flow meters. Electroquip has over 30yrs experience promoting Sick Sensors, the Sensick brand, Erwin Sick and services. We offer all of our customers free technical advice and are market leaders in Sick factory automation products and systems. To find out more about Sick Sensors and the Sensick brand, The History of sick Sensors and Erwin Sick, the latest news and articles relating to how we can meet your demands. Electroquip are here to help you with all your Sick Sensor requirements from Complex turnkey Safety System Design to component supply of Sick Industrial Sensors, light guards, laser sensors, Photoelectric, Inductive Proximity, Capacitive, Trough Beam sensors, Bar code Readers and sick encoders for most applications. We may be able to structure a Volume discount or special price if you intend purchasing in bulk and as an authorized Sick Distributor you will benefit from an exceptional customer service and fastest delivery options same day and next day options for all your Sick Sensors requirements.